ArcaVir provides security products to fight against latest malware and Internet threads. It secures PC and constantly monitors computer from virus, Trojans, worms and other malware infections. ArcaVir is one of the Microsoft certified consumer security software providers and their have recently became Microsoft Partner Silver Independent Software Vendor. ArcaBit recently have launched their launched their website for customers in Asian countries. 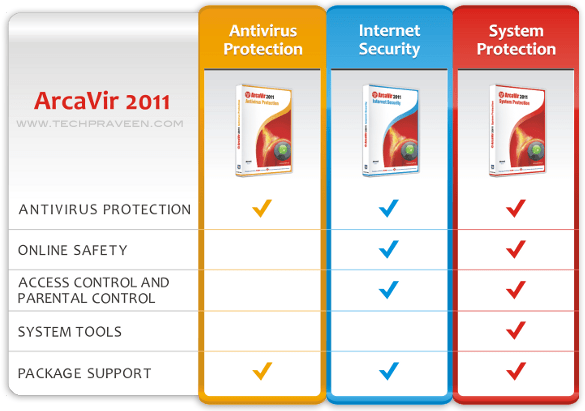 The most basic one is the ArcaVir Antivirus Protection 2011 where it comes with only basic antivirus features and functionality. 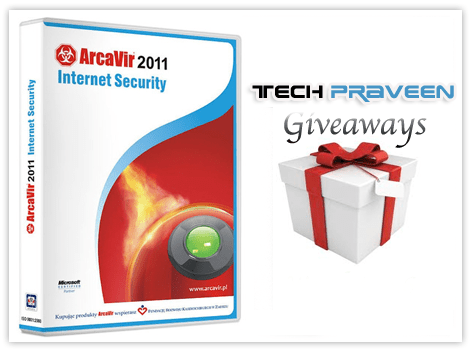 Due to the reason that ArcaVir 2012 will merge ArcaVir System Protection and ArcaVir Internet Security into ArcaVir Internet Security 2012, it makes ArcaVir Internet Security 2011 is the most advanced and complete product and it is also going to be the product for this giveaway event. The ArcaVir Security products will provide constant, proactive protection against malicious code, unclassified yet. It ensures safe use of net banking, detection of phishing, and allow control of the content to which users can access. 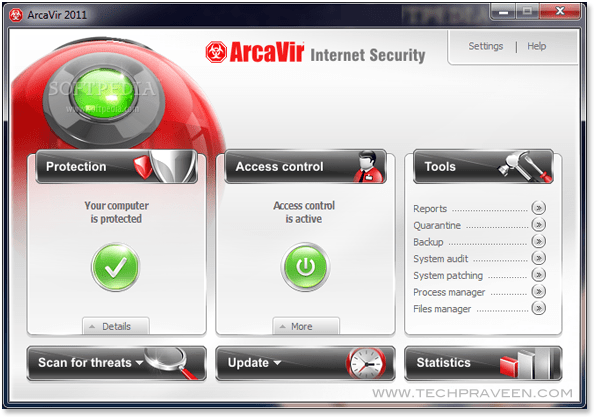 ArcaVir Internet Security provides protection of data transmitted via communicators, Wi-Fi and bluetooth. How to Get FREE License Key of AcraVir 2011 Internet Security? Just participate and win a FREE License key. To enter into giveaway contest all you need to do share this post in Facebook or in Google plus or Retweet this post and add your shared link in comments below. You can also add a general comment to enter into contest. Thanks to Ravindran, the director of their Asian Partner Ravtach Solutions for giving FREE License key for Computer Tips & Tricks blog readers. 🙂 The net price of each license key is $53.28. My computer is highly infected with virus. I wish to get one. AcraVir is a good Antivirus and you can trust its security 🙂 I use Kaspersky and its worth spending some money for Antivirus since it solves half of your computer problems. Praveen I am badly in need of a good antivirus. I would like to participate and win this AcraVir License key. I too need this license key. Please give me one key. I am going to use for for my new desktop PC.